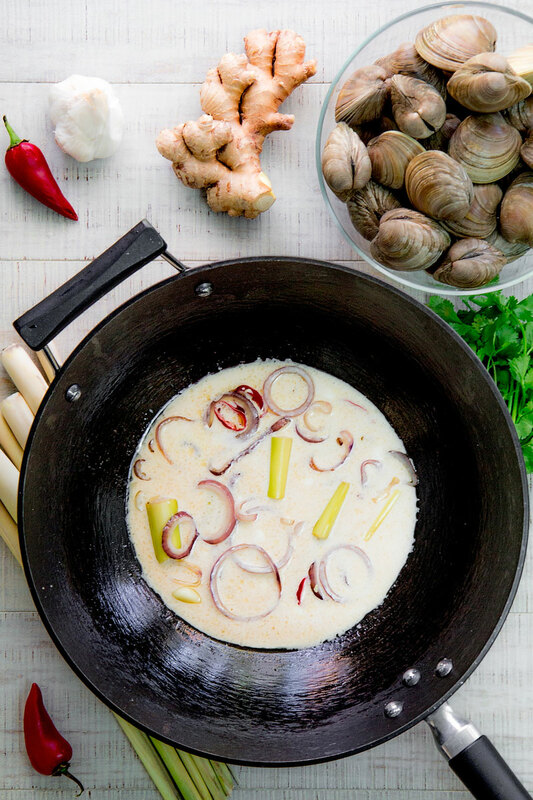 This Coconut clam chowder recipe originates by my love for the traditional Thailand’s coconut soups. 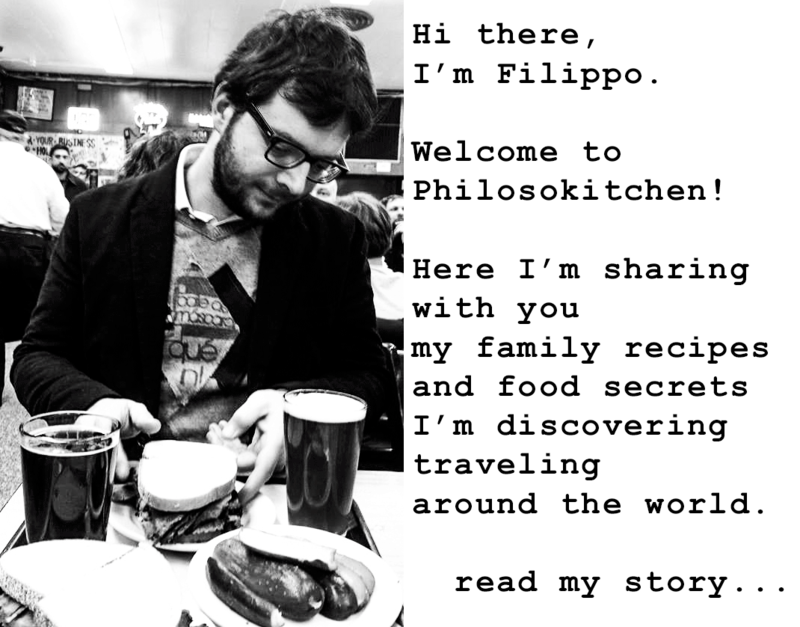 The first time I ate a Thai coconut soup was in 2002. I ‘ve been in Ko Lipe, a little Island on the West coast of Thailand, and it has been love at first time! So, when I think about the South-East Asia, and I desire a good clam chowder at the same moment, I like to prepare this recipe. 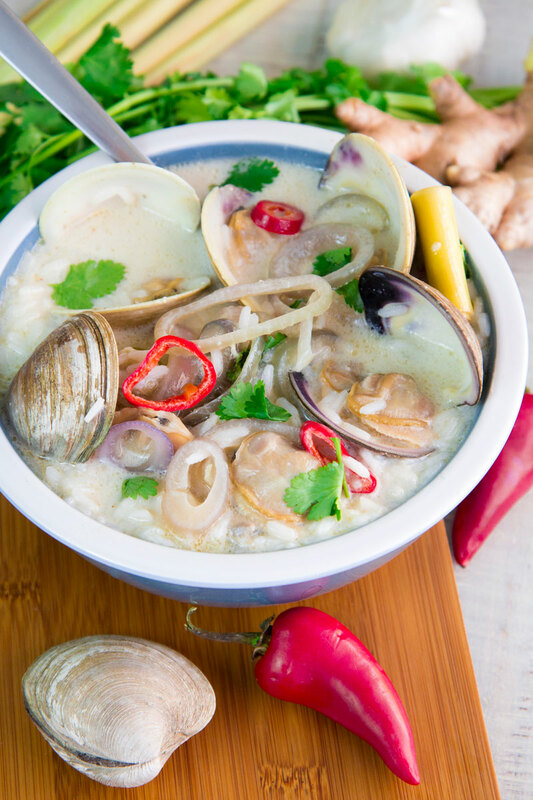 The briny flavor of the clams is perfectly balanced by the sweetness of the coconut milk and the spicy hot taste of the chili peppers. Sometimes, at the very end, I like to add a squeeze of lime juice, but this is a personal choice! Even if it’s possible make this clam chowder with canned or frozen clams, I strongly suggest you to use live clams. The process will be longer but the taste will pay off! If you decide to use live clams, cook them as soon as possible: the more you wait, the more will be difficult to clean the sand out of clams. First of all, check them one by one and discard any opened or shell broken. After that, rinse the clams under running water. Now, dissolve 4 tbsp of sea salt into 4 Qt of drinking cold water, whisking with a wooden spoon. Then, place the clams into a non-metallic bowl and cover with the salted water: if the clams are not entirely submerged, add more salted water. Finally, store the bowl in the back of the fridge. Let the clams expel sand and dirt at least 2 hours up to 3 hours. In this process, it is critical protect the clams against loud noises, highlights, and sudden movements. 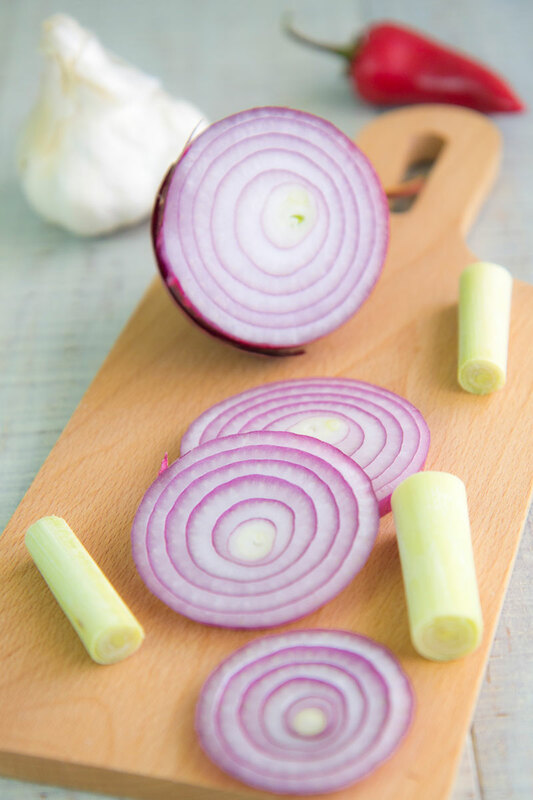 Peel and reduce the onion into rings, then peel and crush the garlic. After that, cut the chili peppers into rings and discard the seeds (I like to spice my chowder with three of them, but feel free to modify the amount depending on your taste!). 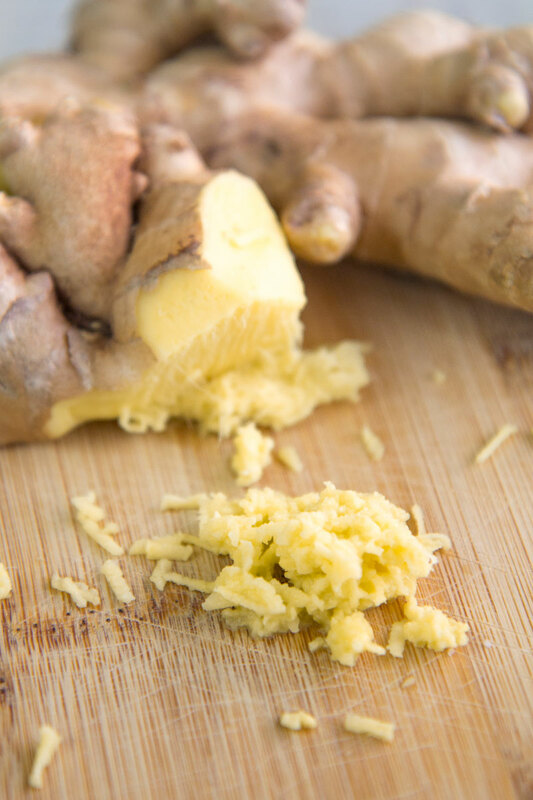 Finally, peel and grate the ginger root and cut the lemongrass into big pieces. 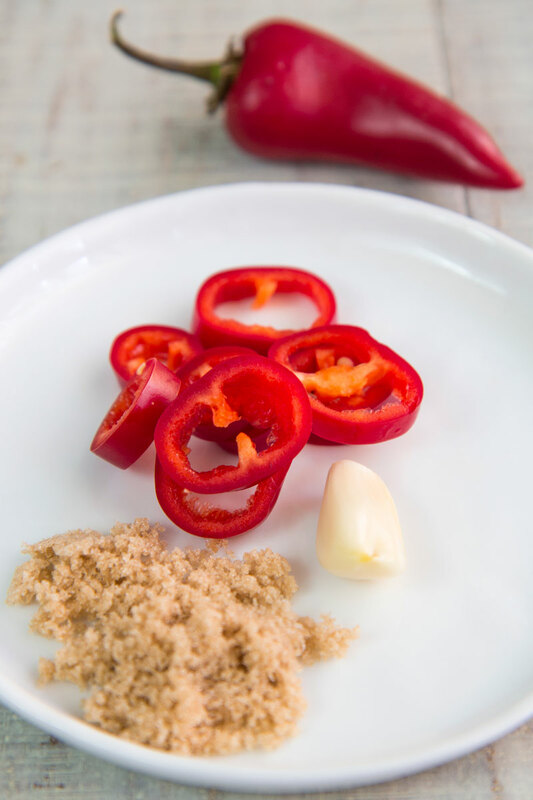 Pour the chili peppers, the onion rings, the lemongrass, and the garlic into a wok or a big pan along with 3 tbsp of sesame oil and the brown sugar. Then, sautè until the onion becomes smooth and translucent but still in shape. Now, add 1 tbsp of fish sauce the grated ginger, sautè a couple of minutes, then add 1 can (400 ml) of coconut milk. Simmer gently 10 minutes, then turn off the heat. At this point, it is possible to use the coconut milk sauce immediately, or store in the fridge up to 2 days. Once cleaned, rinse again thoroughly the clams one to one under running water, then pour them in a big pot along with 1 tbsp of sesame oil. Now, cover the pot and place over medium/high heat. Steam the clams until opened (about 10 minutes). After that, raise and check the clams: if there is any trace of sand, rinse them quickly under warm running water. Finally, sift the clam sauce through a sieve lined with a few layers of cheesecloth or kitchen towel. Eventually, shell or not the clams (depending on your preferences) and pour them into the coconut milk soup along with the sifted clam sauce. Pour 1 can (400 ml) of coconut milk in a pot along with two cups of fish stock and 1 tbsp of fish sauce, then place over medium/high heat. Once the liquid starts to simmer, add the rice and cook until is done. Finally, add the rice and all the liquid into the clams and coconut sauce pan. 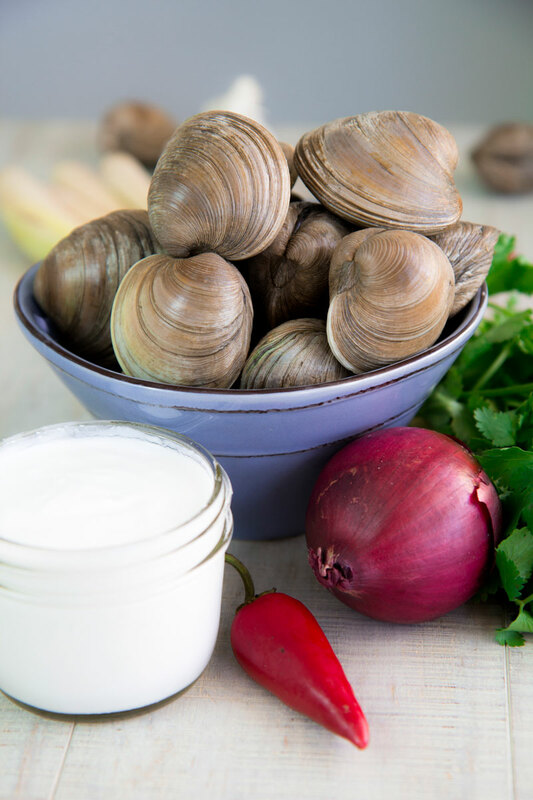 Warm the coconut clam chowder, then garnish with fresh cilantro leaves. Serve paired with lime slices to squeeze depending on the personal taste. Given the briny taste of clams and sauces, I do not add any slat, but this is an own choice. This Coconut clam chowder recipe originates by my love for the traditional Thailand's coconut soups. The first time I ate a Thai coconut soup was in 2002. I 've been in Ko Lipe, a little Island on the West coast of Thailand, and it has been love at first time! So, when I think about the South-East Asia, and I desire a good clam chowder at the same moment, I like to prepare this recipe. 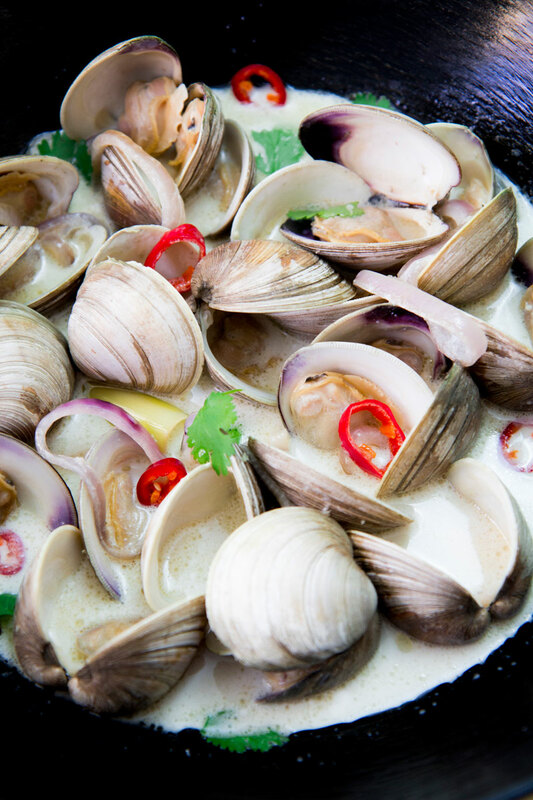 The briny flavor of the clams is perfectly balanced by the sweetness of the coconut milk and the spicy hot taste of the chili peppers. 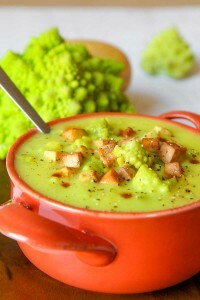 Sometimes, at the very end, I like to add a squeeze of lime juice, but this is a personal choice! Even if it's possible make this clam chowder with canned or frozen clams, I strongly suggest you to use live clams. The process will be longer but the taste will pay off! If you decide to use live clams, cook them as soon as possible: the more you wait, the more will be difficult to clean the sand out of clams. Hi, why is it critical to keep the clams away from noises and movements? To purge properly the clams, they need a quiet environment.